Neophyte Media has launched several internal projects that have been developed and are manged 100% by the company. 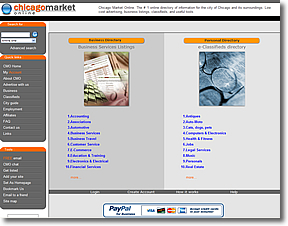 Chicago Market Online. The # 1 online directory of information for the city of Chicago and its surroundings. Low cost advertising, business listings, classifieds, and useful tools.